Rural Fire Service and we always had a fire hose on standby, just in case! I love Mumford & Sons and this was the only song I could actually think of that fit the theme! I was just telling my husband a few days ago about the bonfires we had out west. Every 21st in winter in Roma had a bonfire in the backyard. Loved it!! Yours is HUGE! Pretty scarves. I have heaps and heaps of knitted ones...but they're all for my shop. I like the light weight ones, so pretty. Another song I almost went with! I know, I used to think that scarves were only for winter but now I am starting to re-think that...they might not work in the middle of summer but definitely in Spring and Autumn. Aren't bonfires the best! 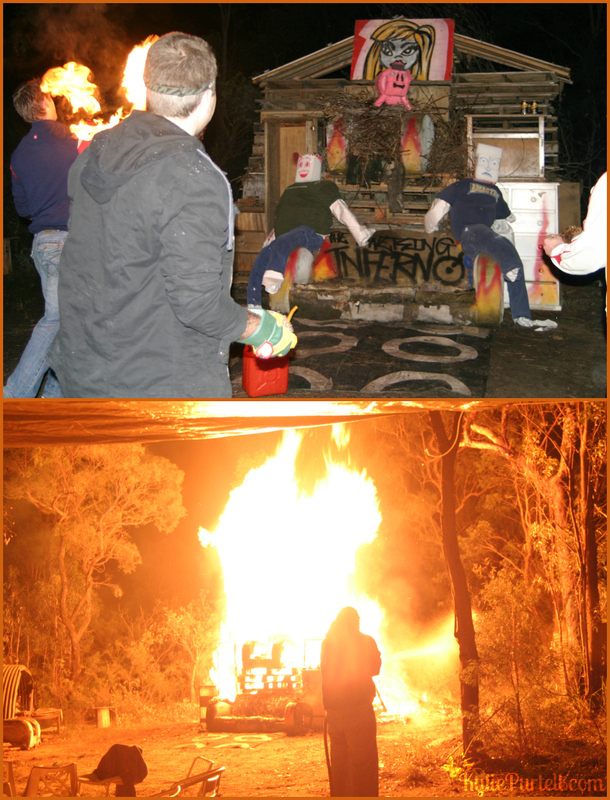 I must admit the idea for this annual bonfire was mine, born from my inner-pyro wanting to build the biggest bonfire ever!